South Korea needs to resolve "procedural" issues before sending its promised Tamiflu to North Korea, a unification ministry official said Tuesday amid speculation that sanctions might be behind the protracted delay. The government promised to send 200,000 doses of the antiviral drugs to North Korea via a land route over their western border, but delivery, which had initially been scheduled for Jan. 11, has been repeatedly put off for reasons that are unclear. "There are no special issues," the official told reporters on condition of anonymity. "By resolving procedural problems, we will get (the drugs) delivered without a ditch." On concerns that its shipment could be further delayed beyond the point at which the drugs become ineffective as peak season influenza ends, the official said that the government recognizes the worries and is doing its best to send it "as soon as possible." Speculation has arisen that sanctions might be behind the prolonged delay. The ministry earlier said that it had discussed the matter with the US through a working-group session in December to make sure it does not violate sanctions. Asked if the sanctions might be a factor, the official declined to elaborate, saying details related to inter-Korean projects are being discussed in consultations with the US through diverse channels. 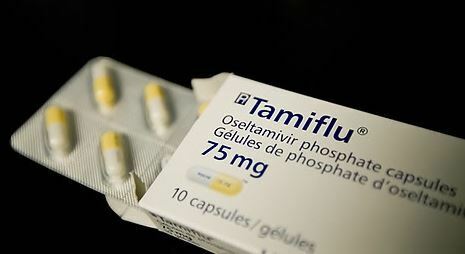 The Tamiflu provision plan was based on information that about 150,000 North Korean people were confirmed to have been infected with influenza from late 2017 to early 2018. The leaders of the two Koreas earlier agreed to work together to prevent the spread of infectious diseases.